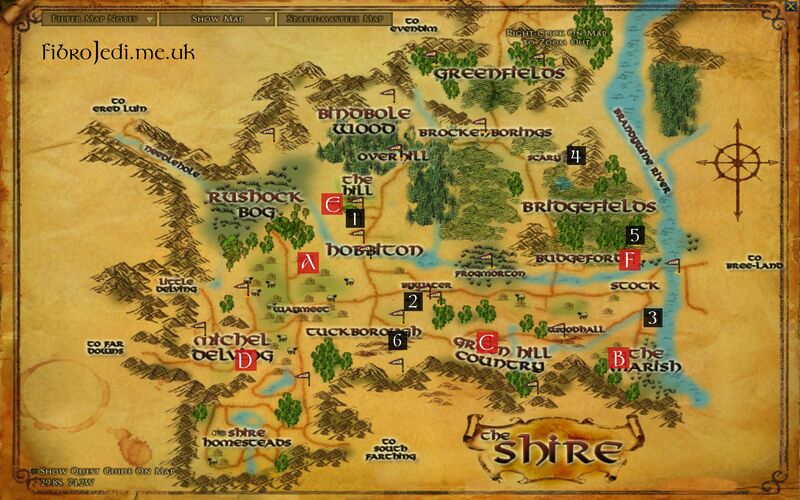 Following on from my Shire Slayer Deed post, one reader challenged me to do the other deeds in that region of LotRO. So today I’m going to cover the Explorer of the Shire deed. 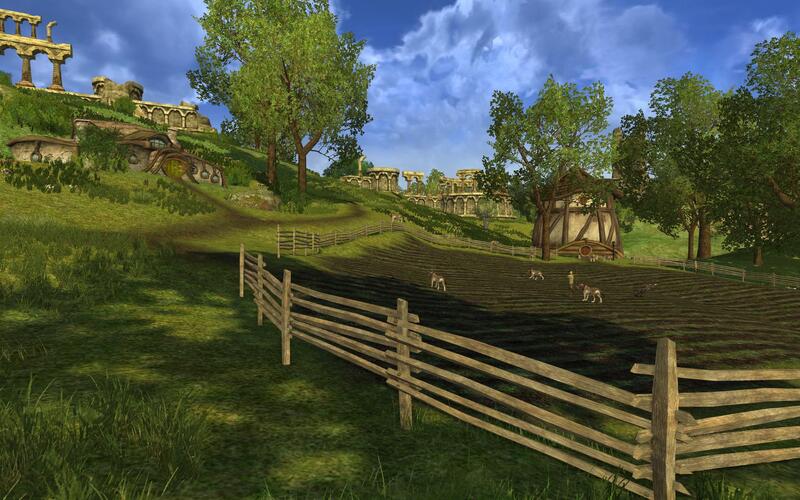 You can achieve this deed by completing The Sights of the Shire and Farms of the Shire. Unlike most achievements that require you finding and destroying numbers of foes, exploration deeds mean just that – go for a wander and find points of interest in Middle Earth. That’s not to say you will have an enemy-free time, especially if you’re on-level, but that you can enjoy the wandering as you explore! I have provided screenshots of each of the sights and farms. If you want to see a larger screenshot, simply click/tap on the smaller image to open it up. In case you’re here looking for items you’re missing, here are some handy links to specific sections! 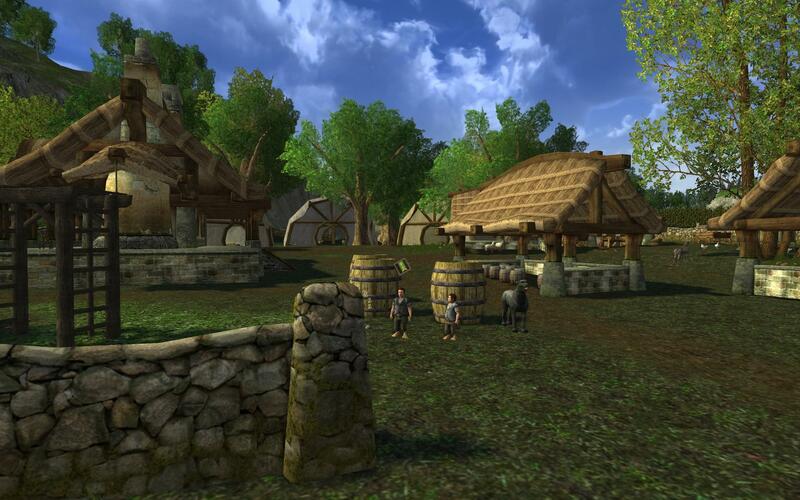 Visiting the Sights of the Shire is a bit like being a tourist! What things are Hobbit-folk the most pleased with (excluding their food production, see below!). If you want to become an Explorer of the Shire then your first Deed is to find six of The Shire’s hottest tourist sports! The Party Tree is/was of great importance to the people of the Shire. Social gatherings, meals…and parties, were held there. It’s where Bilbo Baggins gave his infamous farewell speech before disappearing (literally)[Ref]. 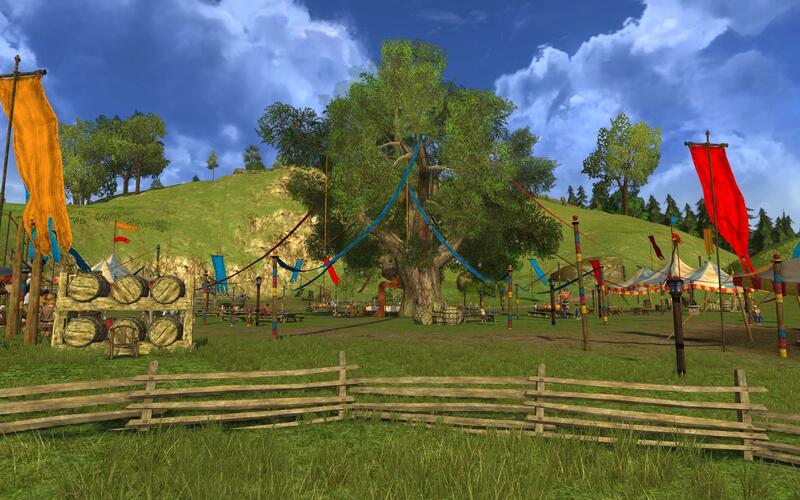 In LotRO many events have something also going on at The Party Tree, with the Summer Festival being mostly based in that area. The Methel-Stage can be found in Tookland and also not too far from Bywater in the Shire. 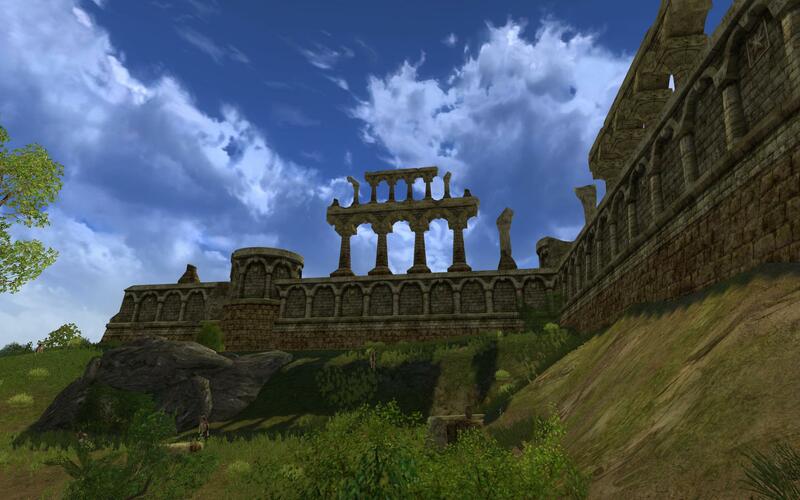 According to LotRO-Wiki, Bilbo Baggins himself paid for this open-air theatre to be built. Some Farmers Faire quests take you by the Methel-Stage. 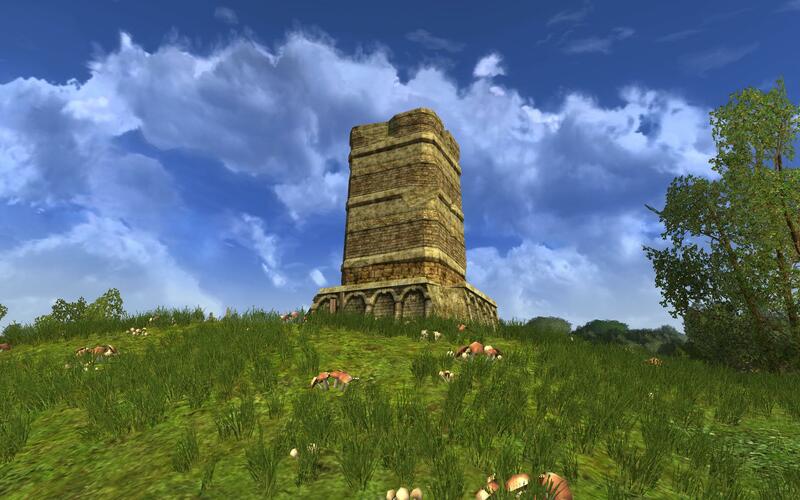 Shockingly, The Stocktower is a tower near the village of Stock! It’s an ancient Arnorian ruin turned guard tower to watch over the nearby border. If I remember correctly, you can find Bingo Boffin part way up the Stocktower during one of his misadventures! 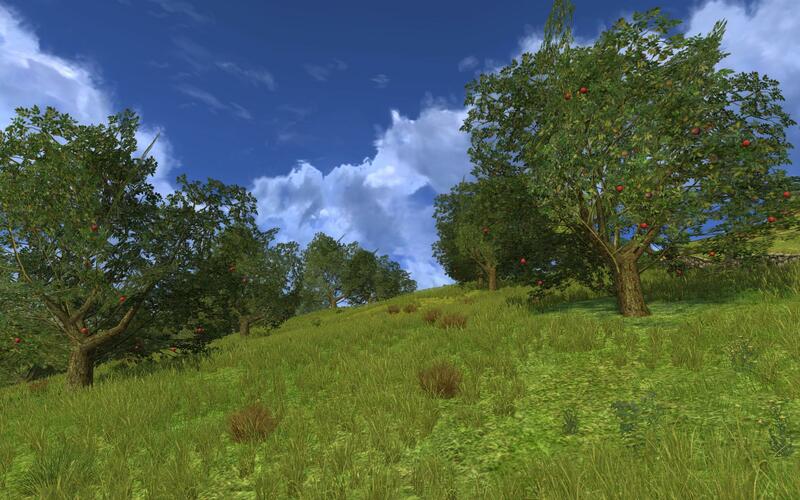 This sight of the Shire is not far from Yale-Height, where you can earn the Slay Many Harvest Flies deed. The Quarry is located East of Scary in the North East of the Shire. It is also one of the best places to hunt Spiders. At the foot of the Quarry is an Instance containing more spiders, in case the ones outside haven’t spawned yet. Bridgefields Wall can be found in the Eastern region of the Shire. Another ruin, it has now become the haunt of many Wolves and one Warg that hunts the Shire for prey. 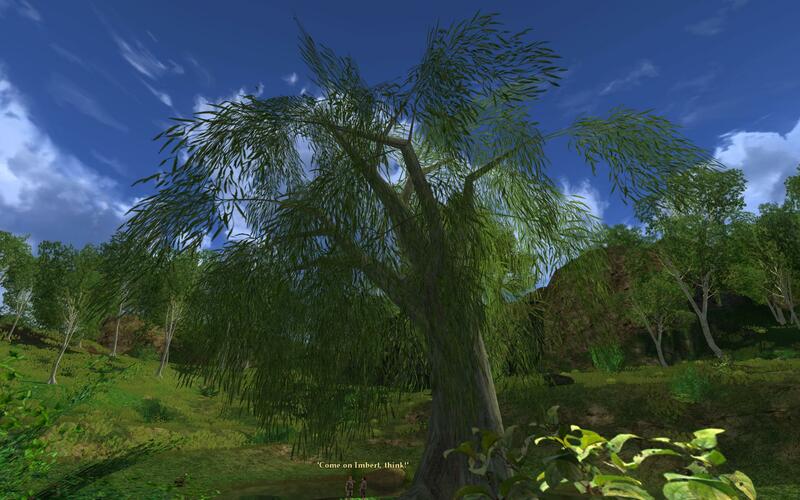 Your last stop-off for completing The Sights of the Shire is the Great Willow found in Tuckborough. You can pick up a quest in which two Hobbits are trying to get honey without attracting the bees or the bears. As usual it is up to you, the Hero, to rescue these Hobbits. The Great Willow seems to be surrounded with mystery and may even be a romantic spot for Hobbit couples! As everyone knows, The Shire would not function without food! Therefore finding the Farms of the Shire, that supply hungry hobbits with all their myriad meals is of great cultural importance! 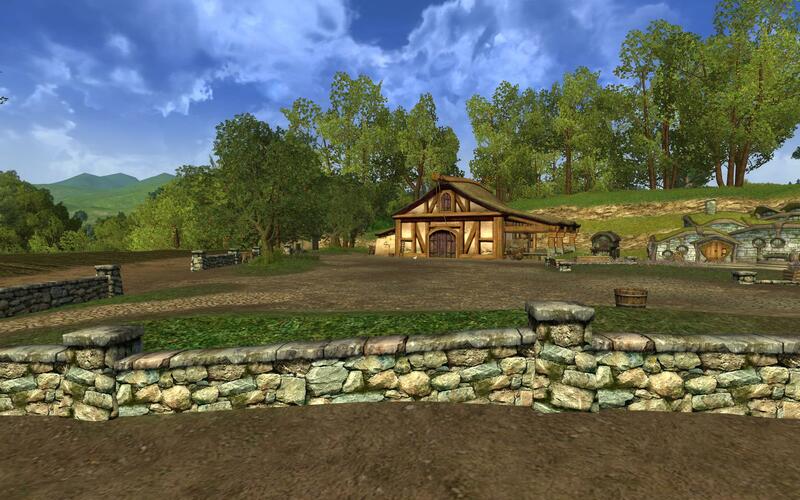 Therefore, the second part of the Explorer of the Shire deed is to visit these all-important farms, not all of them friendly nowadays! 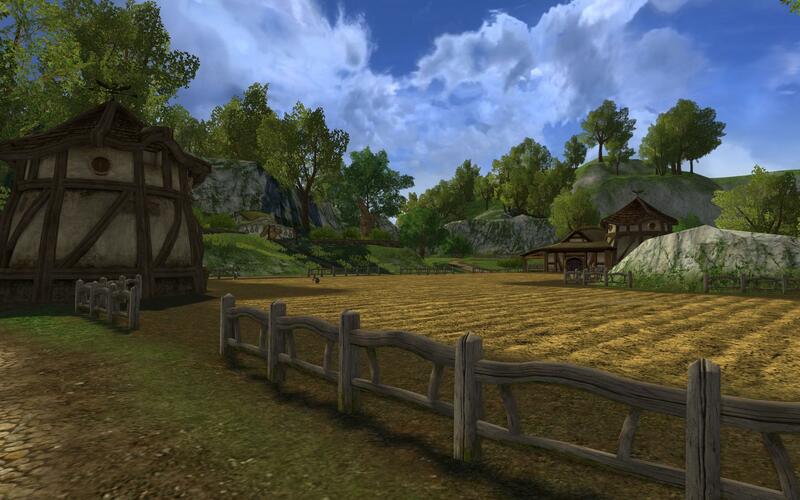 Some of these farms intersect with various Shire Slayer Deeds. Dora Brownlock’s Farm can be found North of Waymeet and just South of Rushock Bog. It is also overrun with Wolves. Not a massive surprise as the Wolf Den is very close by. You may have to rescue some of Dora’s chickens before they become dinner! Bamfurlong is the farm, and home of Farmer and Mrs Maggott – and this Farm of the Shire features in The Fellowship of the Ring. 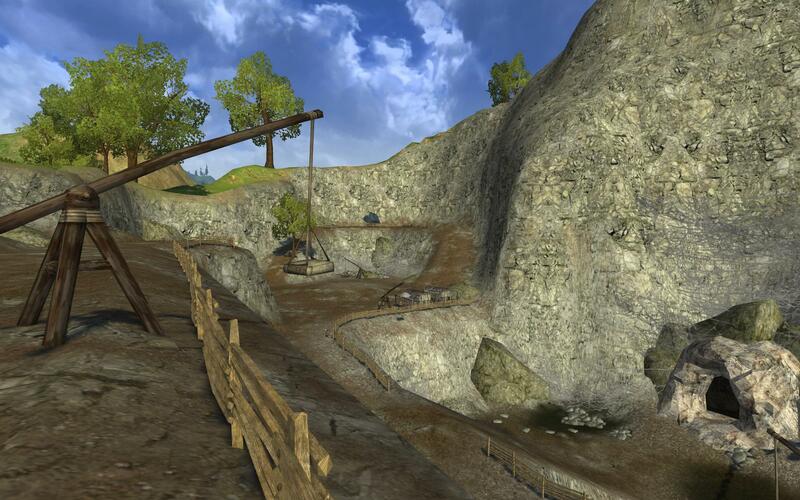 In LotRO, Bamfurlong is the location of a Mushroom Picking quest during the Farmers Faire Event, where you need to pick good mushrooms but avoid those with nasy side-effects! 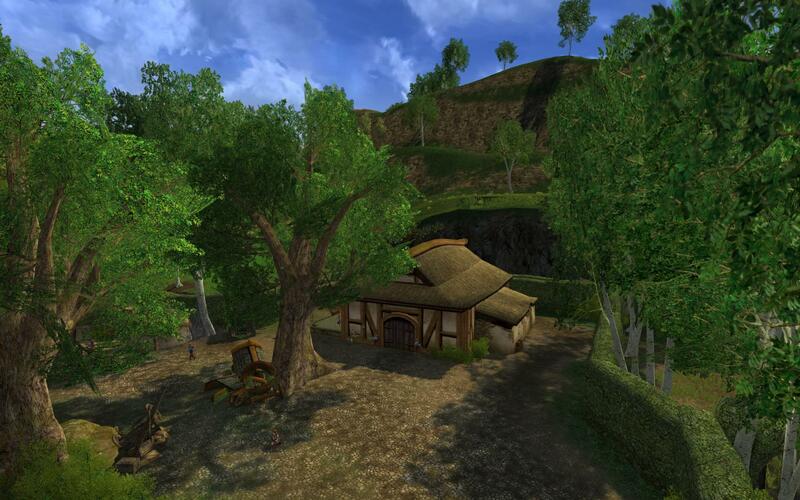 Old Odo’s Leaf Farm is situated in the South of the Shire in Green Hill Country. This hedged farmstead once produced pipe-weed, but no longer. Now it is occupied by a small number, albeit with fast respawn times, of Brigands. South Fields (Farm) is located just South of Michel Delving. As the name suggests, Appledores is an Apple Orchard located not far from The Party Tree. If memory serves me correctly, the Summer Festival has some apple-oriented quests in Appledores. Puddifoot’s Fields are located in the Bridgefields Region, not far from Bridgefield’s Wall. According to the Wiki, Puddifoot’s was known for its honey production. However you will want to visit if you want to Slay Many Wolves! Once you’ve made it through the Sights and Farms of the Shire, you will have unlocked Explorer of the Shire with its rewards. To help you locate these landmarks, I’ve put together a Deed Map for you. Feel free to save this to your device for future reference! As always if I’ve missed something or have made any other mistake, please let me know so I can correct it. That way the community can enjoy this exploration deed even more! 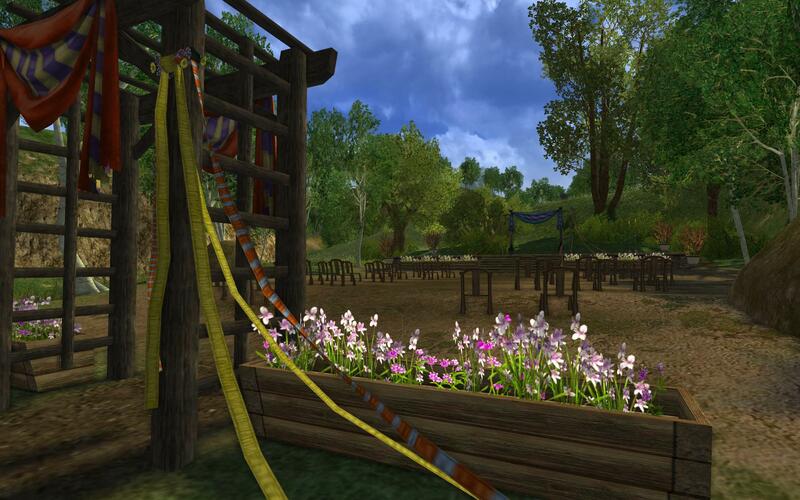 LOTRO Spring Festival 2019 Guide – Events, Hedge-Maze, Mounts and Cosmetics!